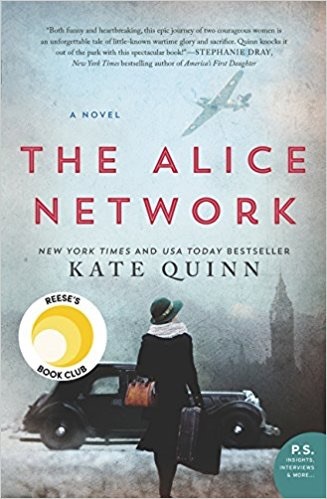 In 1947, Charlotte St. Clair, a well-heeled American college student, is heading to Switzerland with her mother in order to take care of a little problem. She ditches her mother in Southampton in order to pursue a clue to the whereabouts of her wonderful French cousin Rose, who disappeared in the war. The clue leads her to the dilapidated house of an alcoholic WWI British spymistress who threatens to shoot her. The game is soon afoot. Based on an actual WWI spy network, the story alternates in time and point of view between the first war and the aftermath of the second. Charlie is a good character in a good predicament, and she gets the story off to a good start. Later, the situation takes over and things become too easy; contrast Simon Mawer’s haunting Trapeze.